Are we speaking for everyone when we say, “what a week”? ‘Tis a weekend to look to the Internet for some downtime fun. Here’s what we found and loved in the few moments that we didn’t spend preparing for—and then obsessing over—our fall presentation. Home: Perhaps unsurprisingly, these 20 secret rooms are a childhood dream come true, via Bored Panda. Music: No disrespect to the thoroughly modern Spotify, but this digital cassette tape is way more romantic, via PSFK. High Jinks: Here are the top 100 April Fool’s Day pranks, judged by notoriety, creativity and number of poor souls duped, via the Museum of Hoaxes. 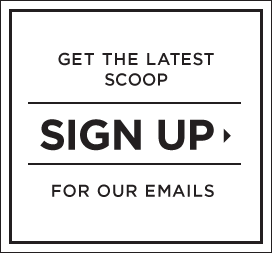 Mail: Seven things to know about writing and sending notes from two people who would know: Terrapin Stationers and Knot & Bow, via the Madewell blog. Word: bilita mpash (n.; Bantu): a positively amazing dream, especially one in which all is forgiven and you’re overcome with bliss. Not just a good dream—it’s the polar opposite of a nightmare. P.S. Our set of Simple Stacking Rings is available here. William Dean Howells’s novella is available here (not ours, but no less worthy). 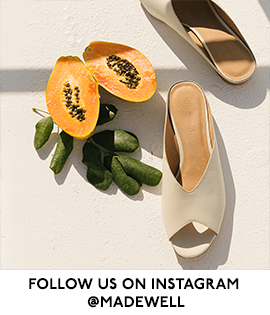 We’re tweeting and Instagramming all weekend long. 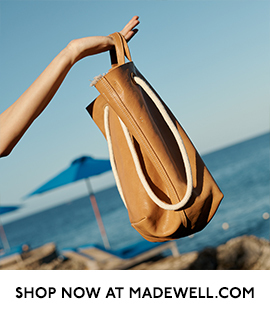 This entry was posted in madewell and tagged culture, fashion, madewell, news, style, weekly roundup. Bookmark the permalink.